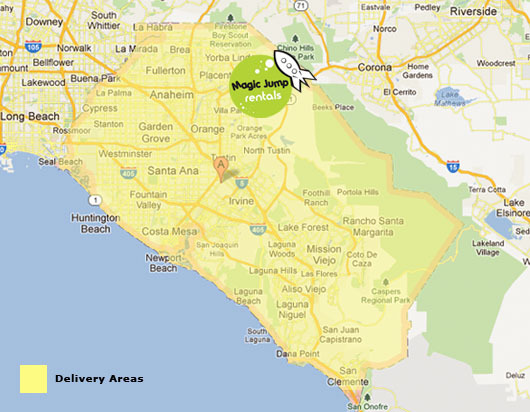 * Areas with high traffic and that are difficult to deliver to require a delivery fee to ensure fast delivery of rentals. ** For locations being delivered to moutain areas, far awary from major highways, or that will take a long time to deliver to, please contact us at 800-873-8989 to make sure delivery will be possible by your event start time. For delivery locations in mountainous areas, delivery fee may change based on your address. If it is really far into the moutain and will take near an hour to get to your location, a mimimum rental of $600.00, or a delivery fee of $100.00, may apply.